is a native of North Carolina. As a chamber musician, she has been heard in chamber music performances at the Kennedy Center, Weill Recital Hall, Tanglewood, the Ravinia and Bravo! Vail Festivals, and on the Greater Philadelphia Performing Artists Series and NPR’s live broadcast “Performance Today”. Praised for "superb" playing by the Boston Globe and "beautiful, finely detailed sound" by the Boston Herald, she has been concert soloist with orchestras including the Metamorphosen Chamber Orchestra and Vermont Symphony. Ms. Lucht is currently a member of the Calyx Piano Trio and performs with the Boston Pops Esplanade Orchestra in Boston and on tours throughout the US, Canada, and Japan. 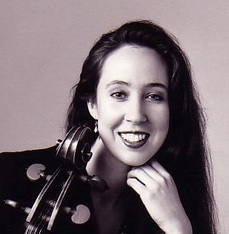 She is Co-Director and a founder of the Carolina Chamber Music Festival in New Bern, North Carolina, and can be heard in chamber music recordings on the New World, Albany, and Archetype labels. Ms. Lucht received her Bachelor and Masters degrees with a Performer's Certificate from Indiana University and continued her education with post-graduate studies at the New England Conservatory of Music. Her major teachers include Janos Starker, Tsuyoshi Tsutsumi, Laurence Lesser, Colin Carr, and Carter Brey.